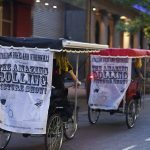 The Amazing Rolling Picture Show was a series of 13 unique video artworks, exhibited on selected evenings via projection screens mounted on two specially created rickshaws. 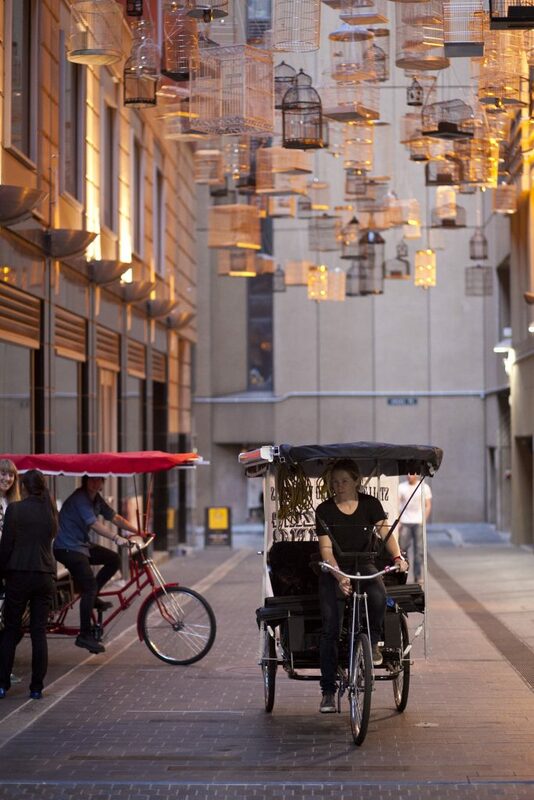 The custom-built, pedal-powered vehicles could be configured to display single- or double-screen artworks. 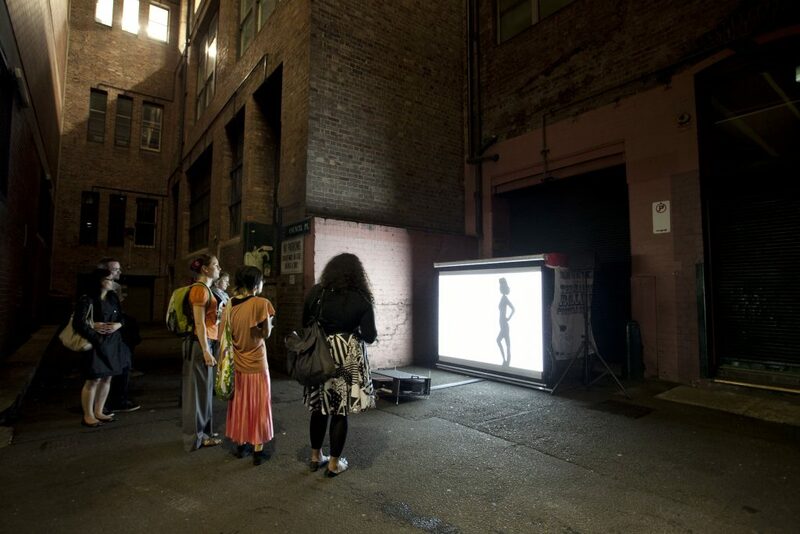 Each performance night, the rickshaws were cycled to different locations, where the screens and projectors were assembled to create intimate installation spaces within the CBD’s historic laneways. 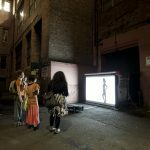 After showing contrasting and unpredictable works, lighting up the laneways with engaging and inspiring reflections, the installations were dismantled and cycled away to be stored until the next performance. 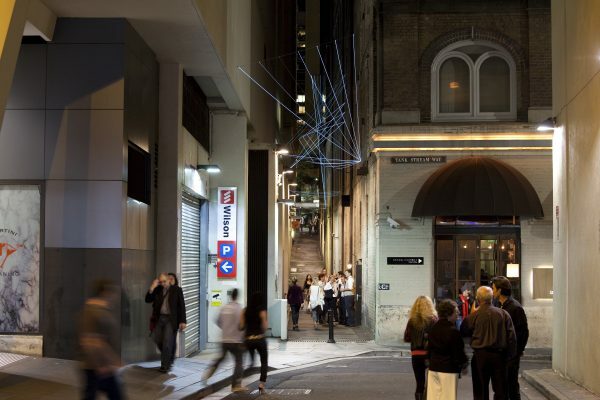 ex-Sydney artists based internationally, Imogen Heath and Sam Icklow. 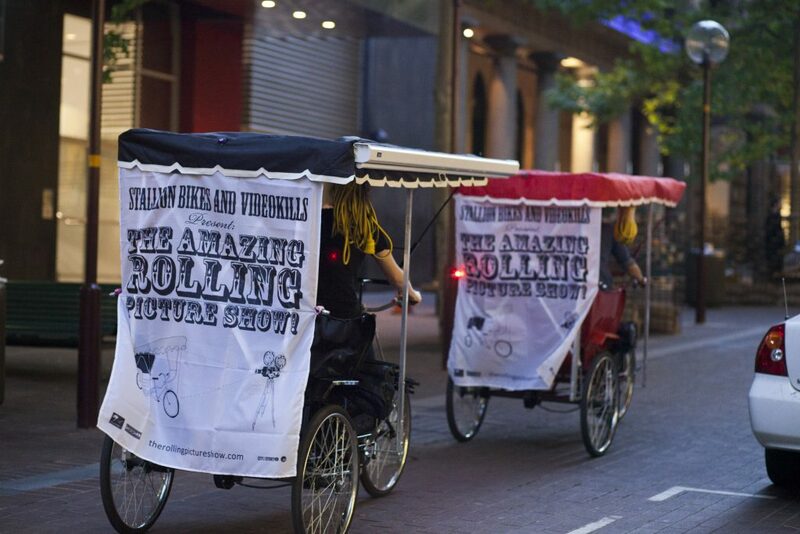 The Amazing Rolling Picture Show was created by Sarah Langdon and Emma Pike. 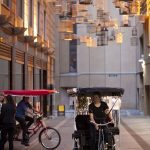 The rickshaws were designed and assembled by Sarah Langdon of Stallion Bikes, a custom bicycle creator based in Redfern, Sydney. 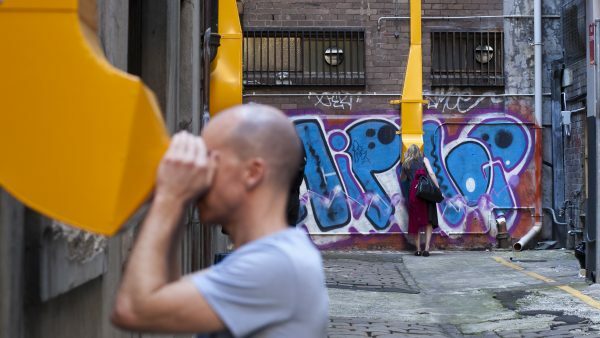 Emma Pike is an independent curator and was the founding co-director of VIDEOKILLS, an international platform for video artists that originated in Berlin in 2008. 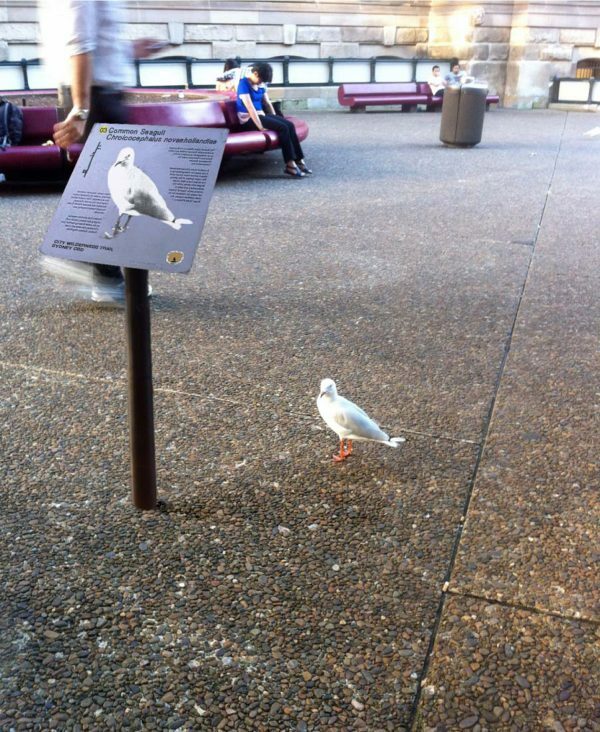 She primarily works in public and non-gallery spaces on site-specific projects. Urbanity:(Re)Engaged ran during 2011 and 2012. 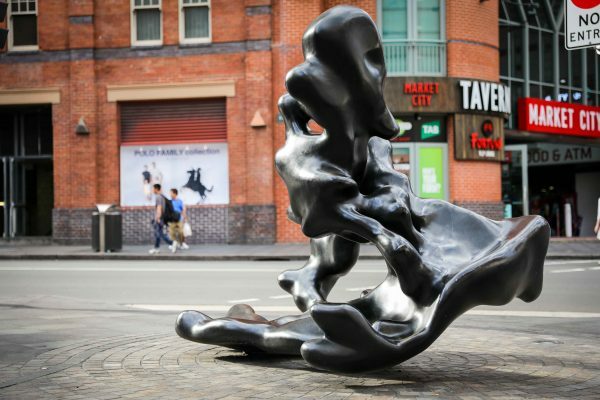 Curated by Amanda Sharrad and Justine Topfer, it invited renowned Australian and international artists to breathe new life into the ordinary. 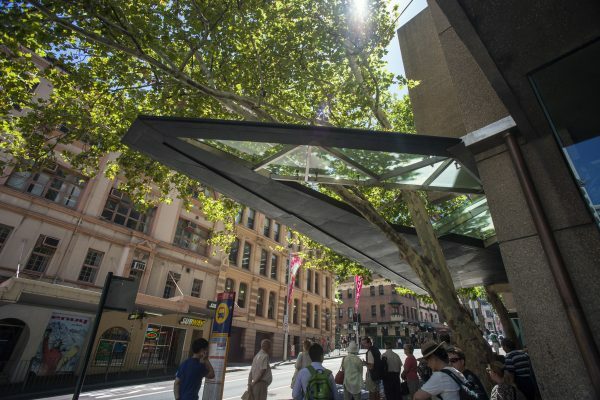 Creating spaces where passers-by could pause for private reflection, or engage in lively cross-cultural dialogue about art and its intersection with public life.